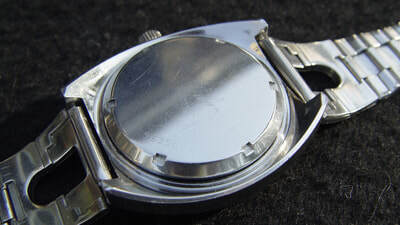 Case: St. Steel 40.5x15mm, 20mm lugs. 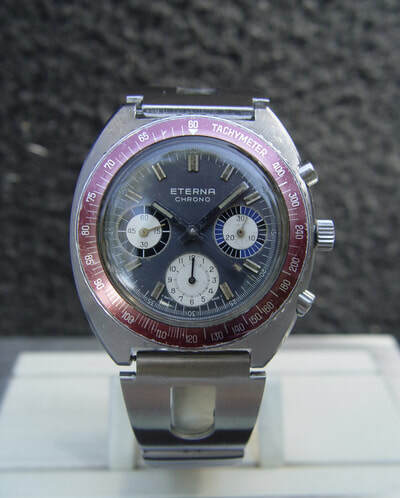 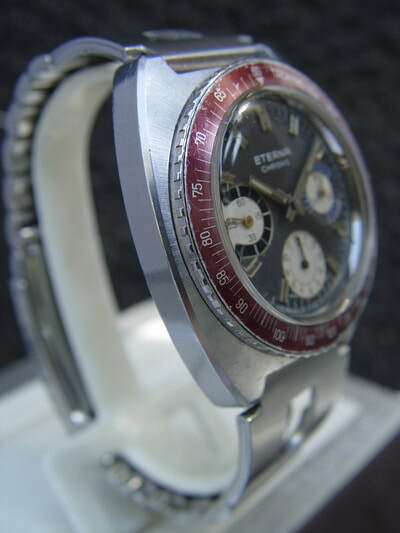 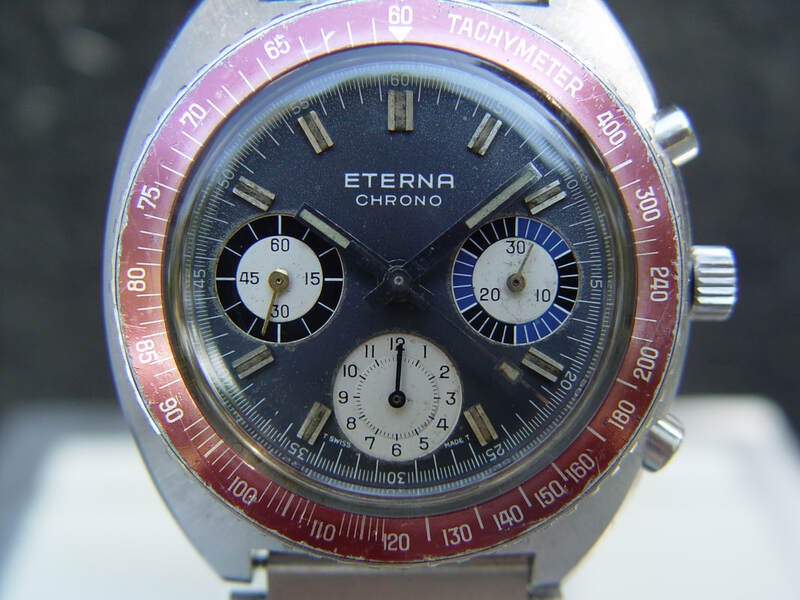 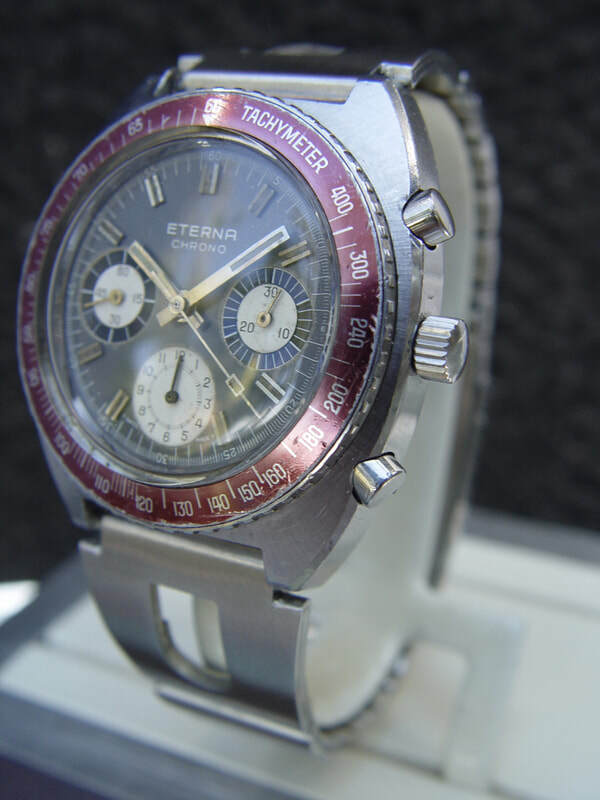 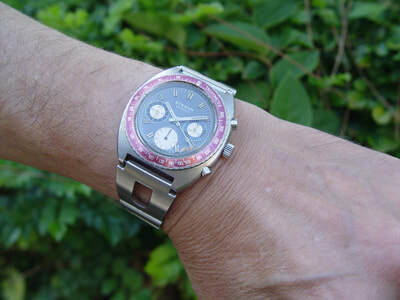 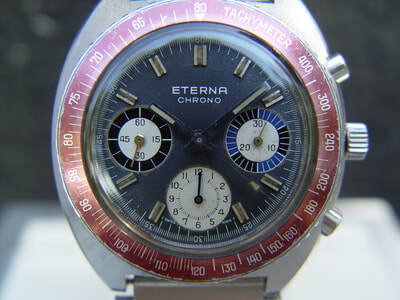 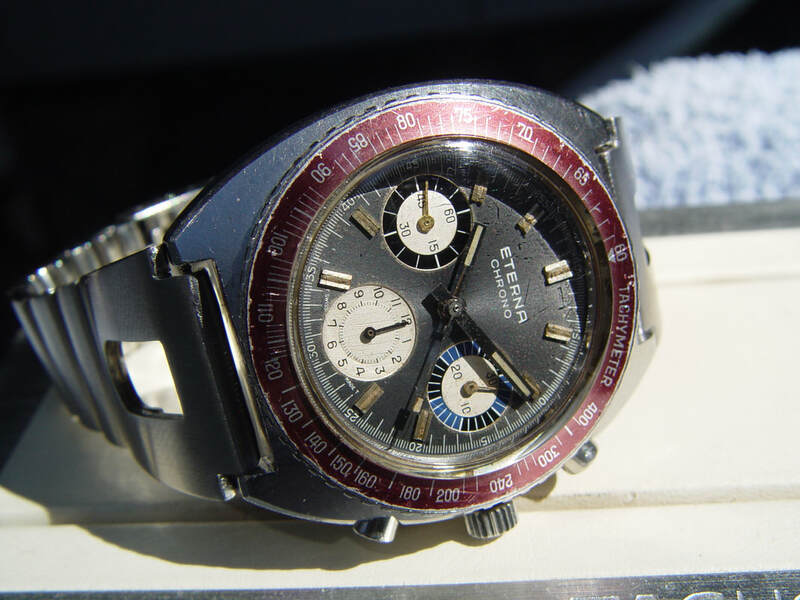 This Eterna Chronograph is equipped with the famous Valjoux Cal. 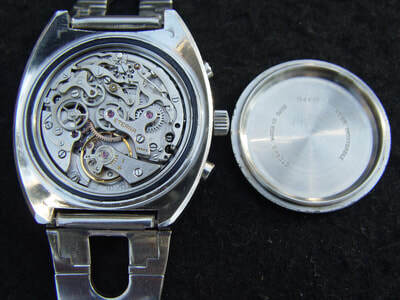 72 hand wound movement that works and resets well. 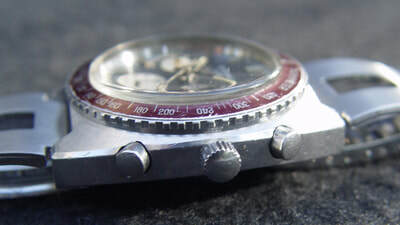 Blue, black and white sub dial on a gray dial and burgundy tachymeter bezel. 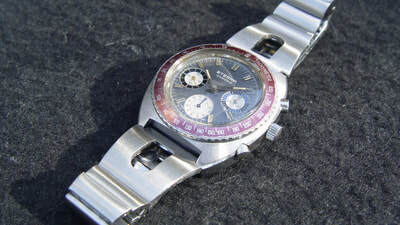 All original inclusive the crystal. 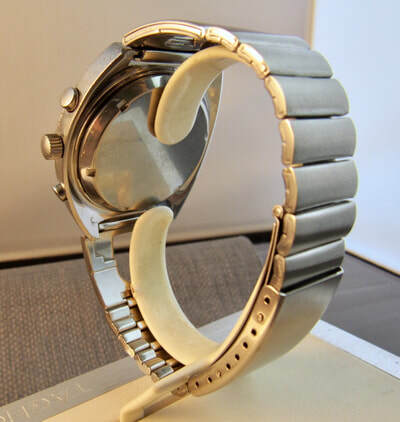 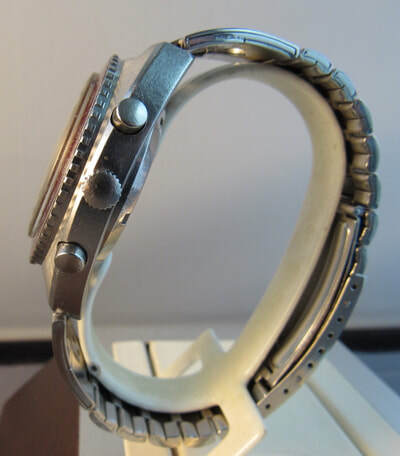 The braclet is not a Eterna however resembles the original one.